Spring has sprung and it is time to get back out into the fresh air. Here is a guide to getting your garden, patio or any other outdoor space ready for the sunshine. Over the winter months, items in your garden can get damaged without you realising. Frost is a particular cause of this. If you have pots, ornaments, wind chimes or garden gnomes, check them over. Repair any cracks with super glue. Get an extra-strength version to make sure it works. The chances are that the paint on your garden furniture will have cracked over the last few months. It may also have been chipped slightly anyway, thanks to use last season. Give your furniture a fresh lick of paint. Seal it with a water-resistant layer also. This goes for tables and chairs especially, as you’ll likely use these items often. In the same way that you might find chips and cracks on your belongings, other parts might have come loose. This might be table legs or water feature components. Check everything is still screwed on as it should be. Replace any loose screws or just tighten them if that is an option. Dirt and debris will have built up on the ground as your garden or outdoor space experienced the elements. Use a good quality power washer to get the job done quickly and effectively. Spring is the best time to make garden upgrades or changes. The weather is more reliable and drier than winter. There is also still enough time to get them done before the warm weather of summer arrives. Then you’ll just want to relax! A landscaping company can help you here. As well as helping you erect walls or put down paths, they can help with advice too. This might be their thoughts on a planting scheme, or where the sun will fall in your garden. It is also likely that they’re been able to tell you something about the type of soil you have. Knowing this will help inform your decisions on what to plant and cultivate for the new season. Once you know what soil you have, you can feed it. There is a handy guide here on what to use and how. 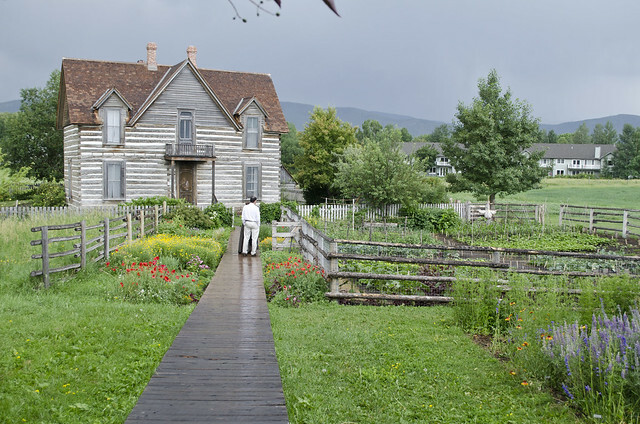 Growing an organic garden is good for your, your family and the environment. Plant a vegetable patch and cultivate fruit trees. Being more environmentally conscious doesn’t just go for your plants and flowers, however. Consider installing solar panels. Power any fairy lights by the sun, rather than using batteries or electricity. Once you’ve got all the basics out of the way, you’ll want to do a clean of anything else that looks dirty. 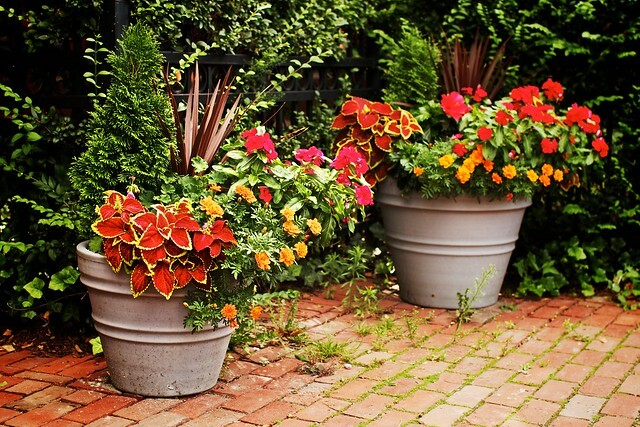 You won’t want a sparkling patio covered in mud-encrusted pots. Clean them with hot, soapy water. Simple washing up liquid will do. Leave them to dry and then re-pot your plants and flowers.